Preheat the oven to 180°C/350°F. Butter a 25cm (10in) springform cake pan, line the bottom with baking paper and butter the paper as well. Make the cake: in the large bowl of an electric mixer, cream butter and sugar until light and fluffy. Add the eggs, one at a time, mixing well after each addition and scraping the sides of the bowl occasionally. Beat in the vanilla. In low speed, beat in the flour, cocoa, baking powder, salt, milk, water, orange zest and juice. Beat until smooth, fold in the pecans then pour batter into prepared pan. Bake for 50-60 minutes or until risen and a skewer inserted in the center of the cake comes out clean. Cool cake completely in the pan over a wire rack, then carefully unmold, removing the baking paper. Turn the cake onto a serving plate. Make the ganache: heat the cream over medium heat in a small saucepan until it starts to boil. Remove from the heat, add the chocolate and butter and set aside for 1 minute. Mix until melted and smooth. Pour over the cake. 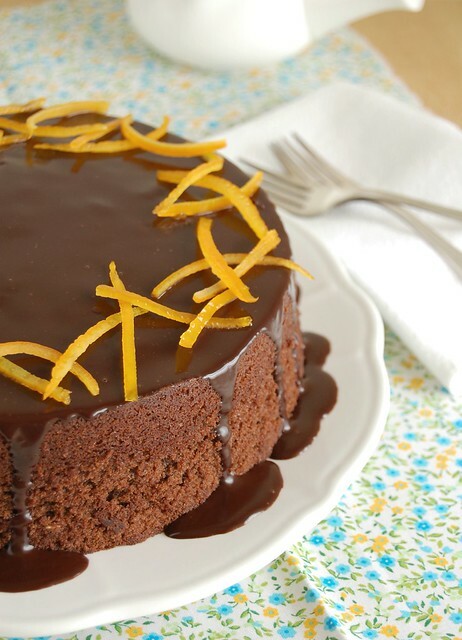 When the ganache is set, top the cake with the candied orange zest. Wat a super gorgeous cake. Lovely cake, in spite of its name. 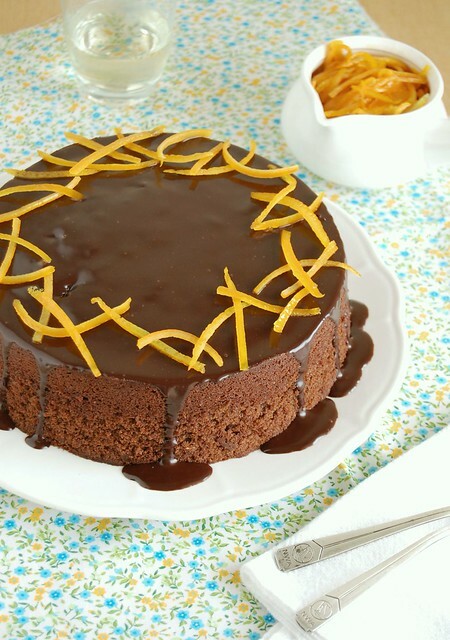 The name of this cake is so funny, never imagine it exists, but looks so yummy, the combination of chocolate with orange is great. Oh god this cake looks absolutely delicious, love the chocolate ganache over it and the orange suits perfectly!! That cookbook looks beautiful (as does the cake, of course).